Distraught, distressed, dismayed were the words that could best describe the looks on the faces of many visitors who flooded the Magodo residence of Nollywood actress, Moji Olaiya. Her elder brother Otunba Olaiya who spoke to NET said the Moji’s death was most unexpected. ‘When I spoke to her a few days ago, she did not give signs of death. She never complained about anything. 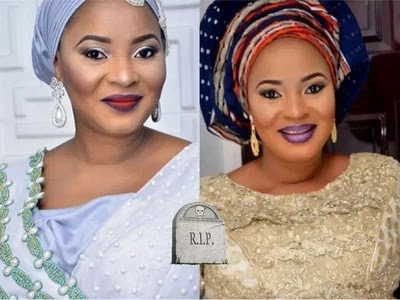 This is really heartbreaking’, he said.Olaiya’s housekeeper Mrs Keji, who described herself as a very close friend of the deceased revealed details of the actress’s sudden death to us. According to her, in the last three days before she passed away; the actress had placed several calls from her base in Canada to complain of ‘being uncomfortable’. ‘Her baby was born premature- her EDD was for May 2017 but complications arose that necessitated that she be induced to save the baby’s life as well as hers. But since the delivery in March, her health had not been exactly perfect’. Her 20- year old daughter, Adunola was visibly hysterical and had to be held back by friends who were around to console her. The Babcock University student was then taken into an inner room as her screams continued to be heard. 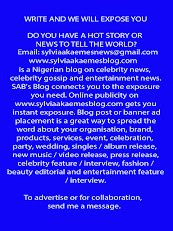 Moji Olaiya’s infant daughter however is said to be in care of her friend with whom she was staying in Canada. It is unsure what will happen to the two month old. Olaiya’s relationship with the father of the child, simply called ‘Mr Femi’ is hazy as there as insinuations that he is still married to someone else. The 42 year old’s death almost exactly two years to the death of her younger brother Abidemi Olaiya who died on May 4 2015. Her elder brother Otunba, however told us that the family had not informed their patriarch, renowned highlife muscian Dr Victor Olaiya.